A computer's Client Group can be set either manually during an attended installation or automatically when doing a mass deployment. 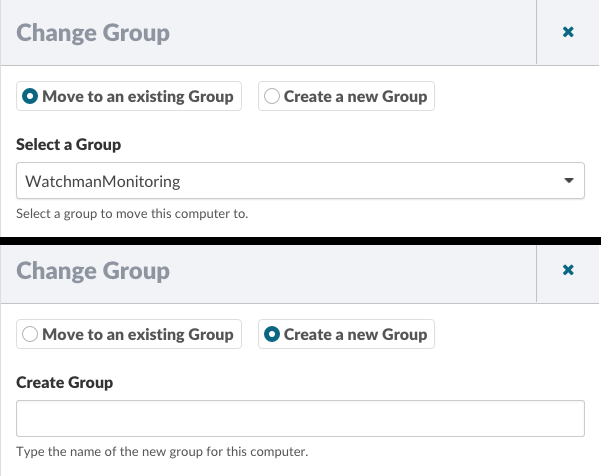 Click the Actions in the top-right corner and choose Change Group. Search for an existing Group or create a new Group. Click Save.